1.1 The Complainant in this arbitration proceeding is Damas Jewellery LLC of the address Jumeirah Lake Towers, DMCC Damas Building, Block 3, IST Floor, P.O. Box. 1522, Dubai, United Arab Emirates, represented byKochhar & Co., 17th Floor, Nirmal Building, Nariman Point, Mumbai-400 021, Maharashtra, India. 1.2 The Respondent is Sam George, Gitanjali Gems Limited, Unit No. 1, Plot No. 61, SEEPZ, MIDC Andheri (E), Mumbai, Maharashtra, India. 2.1 The present arbitration proceeding pertains to a dispute concerning the registration of the domain name <ddamas.co.in>. The sponsoring Registrar with whom the domain name is registered is Endurance Domains Technology Pvt. Ltd. of the address Unit No. 501, 5™Floor and Unit No. 402 4TH Floor, IT Building, NESCO IT Park, NESCO Complex, Western Express Highway, Goregaon(East), Mumbai, Maharashtra, India. 3.1 The arbitration proceeding is in accordance with the .IN Domain Name Dispute Resolution Policy (.INDRP), adopted by the National Internet Exchange of India (NIXI). 3.2 NIXI vide its email dated May 28, 2018 requested availability of Ms. Divya Balasundaram to act as the Sole Arbitrator in the matter. The Arbitrator indicated her availability and submitted the Statement of Acceptance and Declaration of Impartiality and Independence in compliance with the .INDRP Rules of Procedure on May 29, 2018. 3.3 Arbitrator was appointed vide NIXI’s email of June 5, 2018. 3.4 Arbitrator sent email on June 6, 2018 serving formal notice of the Complaint upon the Respondents and calling for a response within 15 days. No response has been received by the Respondents in the given time. Hence, Arbitrator sent email of July 13, 2018 informing the Respondents of absence of response from them and the decision to proceed with an ex-parte order. 3.5 The language of these proceedings is English. 4.1 The Complainant is a company incorporated and existing under the Laws of United Arab Emirates with its office at Jumeirah Lake Towers, DMCC, Damas Building, Block 3,1st Floor, P.O. Box. 1522, Dubai, United Arab Emirates. The Complainant is a subsidiary of Damas International Limited and is part of the Damas Group of companies. 4.2 The Complainant is engaged, inter alia, in the manufacture, processing and sale of jewellery and watches. The Complainant has presence in 6 countries through fully owned subsidiaries and associate companies with around 250 stores in the Gulf Cooperation Council (GCC) region. 4.3 It is one of the Middle East’s leading manufacturer of jewellery and retailer of jewellery and watches. The Complainant had been manufacturing and selling wide range of jewellery since 1907 and is currently operating in the GCC region. It has significant manufacturing capabilities which encompasses the entire cycle from design to manufacturing and branding; and manufactures gold and diamond jewellery. 4.4 The Complainant has honestly and bona fidely coined, conceived and adopted the trademark “DAMAS” which forms part of their trade name, corporate name, business name, trading style and trademarks since 1907 and is prominently featured on its products, retail stores, e-stores, websites, promotional material, advertisements, magazines, catalogues, etc. 4.6 The Complainant also acts as distributor or agent or owner for several international jewellery and watch brands such as Roberto Coin®, Faberge®, Fope®, Mikimoto®, Leo Pizzo®, Magerit®, Marco Bicego®, Armin Strom®, Louis Moinet® and Parmigiani®. The Complainant also holds authorized dealership of “Forevermark” in the GCC region. 4.7 In India, the Complainant entered into a joint venture with Gitanjali Brands Limited and formed a company “D’damas Jewellery Pvt. Ltd.” The Complainant under a Registered User Agreement dated August 22, 2005 granted a license to D’damas Jewellery Pvt. Ltd., to use the name ‘Damas’ and its derivatives for a period of 10 years. Based on this D’damas Jewellery Pvt. Ltd. applied for registration of the trademarks “D DAMAS” under No.1216498 on July 22, 2003 and the trademarks “LAMHE BY D’DAMAS” under No. 2076275 and “D’damas LAMHE SOME GIFTS ARE TIMELESS” under No. 2076273 on December 28,2010. 4.8 In and around 2015, the Complainant terminated the Registered User Agreement and its association with D’damas Jewellery Pvt. Ltd. through a Settlement Agreement and Deed of Assignment dated July 21,2016. By way of the Deed of Assignment, D’damas Jewellery Pvt. Ltd. assigned all its rights, title and interest in the aforesaid trademarks to the Complainant. The Settlement Agreement and the Deed of Assignment have been taken on record by the Hon’ble Bombay High Court in the Order dated August 26, 2016. The assignment of trademarks is also taken on record by the Registrar of Trademarks vide its order dated January 27,2018. Complainant’s products are available on <www.damasjewellery.com>, <www.mydamas.com> and various other online shopping and e-commerce portals, which are accessible to consumers around the world including India. 4.10 The Complainant’s products under the DAMAS trademarks have been widely promoted through different audio-visual media social mediaetc., all of which enjoy a wide viewership, circulation and readership all over the world, including India. Further, omplainant’s products under its DAMAS marks are also endorsed by various celebrities. Complainant has won prestigious awards for jewellery design/jewellery business. 4.11 Due to open, regular and extensive use of the said “DAMAS” trademarks coupled with efficient advertising and high stringent, non-compromising standards of quality offered by the Complainant, their goods and/or services have become highly popular and well-known across the globe. As a result, goods and/or services provided by the Complainant bearing the said “DAMAS” trademarks command huge sales and generate large revenue. As a result of such advertisement, publicity, promotion and active marketing by the Complainant, the said “DAMAS” trademarks have come to be associated exclusively with the Complainant alone and no one else. The knowledge and awareness of the Complainant’s “DAMAS” trademarks has also spilled over and has reached the countries where the goods have not been sold by the Complainant. “DAMAS” has assumed significance in connection with the Complainant and qualifies as a well-known and famous trademark. 5.1 The Complainant recently became aware of the domain name www.ddamas.co.in registered in the name of the Respondent. Upon search of the WHOIS domain name database, the Complainant noticed that the disputed domain name was registered in the name of the Respondent on June 08,2005 with Endurance Domains Technology LLP (R173-AFIN). i. 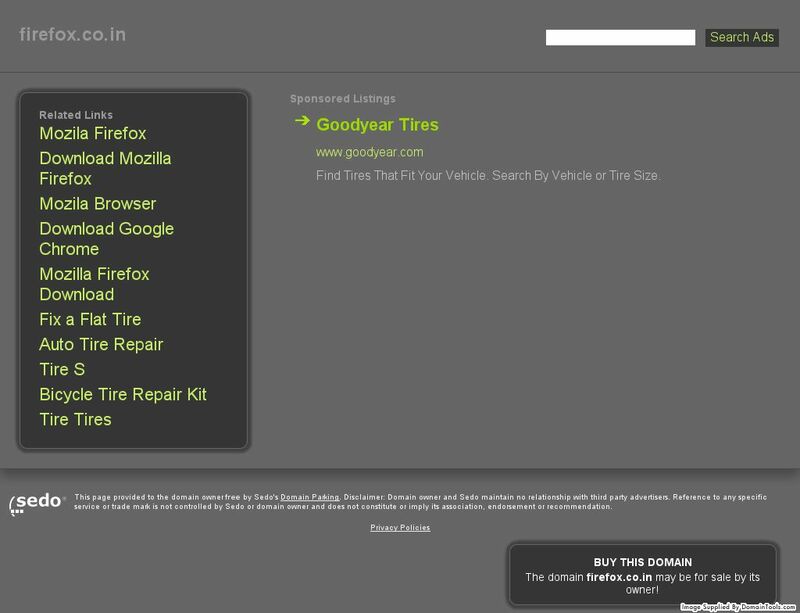 The disputed domain name <www.ddamas.co.in> is identical and/or confusingly similar to the Complainant’s prior registered, used and well-known “DAMAS” trademarks and “DDAMAS” as it incorporates and reproduces the Complainant’s registered trademarks “DAMAS” and “DDAMAS” in their entirety and differs only in respect of addition of the country code Top Level Domain (ccTLD) extension “.co.in” which is insignificant. ii. Further, the disputed domain name <www.ddamas.co.in>was created on June 08, 2005 which is subsequent to the Complainant’s domain name www.damasjewellery.com which was created on March 04, 2000. Such subsequent registration of the identical/confusingly similar domain name amounts to violation of the Complainant’s rights in the trademarks “DAMAS” and “DDAMAS” also amounts to violation of the INDRP rules. iii. The Complainant submits that it has been openly, continuously and extensively using the trademark “DAMAS” across the world since 1907 and has obtained several registrations for the trademark “DAMAS” in several countries including India which establishes its prior rights in the trademark “DAMAS”. The disputed domain name completely incorporates the trademark of the Complainant, resulting in confusing similarity between the disputed domain name and the trademark “DAMAS”. iv. Given the immense goodwill enjoyed by the Complainant’s trademark “DAMAS” its use by any other person in respect of any goods or services or in any form what-so-ever is bound to create confusion and/or deception among the members of trade and public as to origin of the domain name. vi. From the circumstances of this case it can be rightly said that the use of the disputed domain name by the Respondent may establish in the minds of the users and consumers such a connection between the Complainant and the Respondent and more so as the disputed domain name has incorporated the country name ‘India’ which would easily create an presumption in the minds of the users that the Respondent is an affiliation of the Complainant in India. i. The Respondent has no rights or legitimate interest in the disputed domain name. By virtue of the Deed of Assignment and Settlement Agreement the entire rights, title and interest in the trademarks “D DAMAS” under No.1216498 on July 22, 2003 and the trademarks “LAMHE BY D’DAMAS” under No. 2076275 and “D’damas LAMHE SOME GIFTS ARE TIMELESS” under No. 2076273 were assigned to the Complainant and hence the Respondent has no rights or legitimate interest in the disputed domain name. ii. The Respondent has registered the Disputed Domain Name <www.ddamas.co.in> on June 08, 2005. By this time, the Respondent was well aware about the existence of the well-known and famous “DAMAS” trademarks and the domain names <www.damasjewellery.com>,<www.mydamas.com>,<www.damasdubai.com> and <www.damasjewellery.in>. 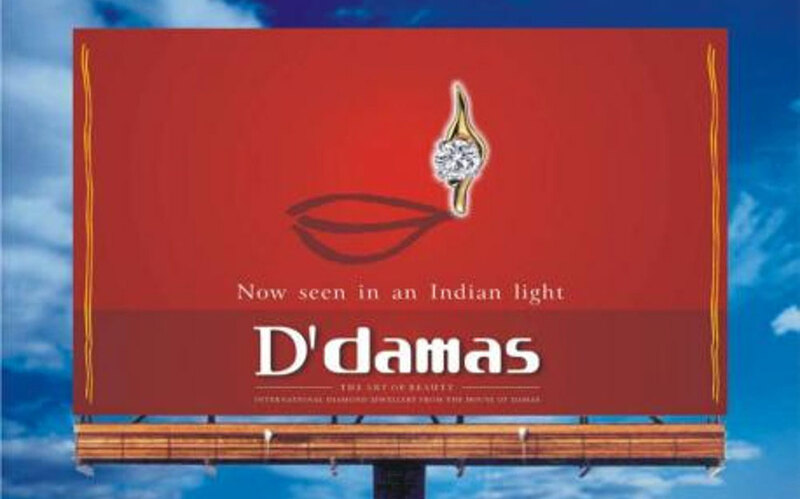 The said trademark “DAMAS” had garnered considerable goodwill and reputation amongst consumers across the world including India. The said trademark “DAMAS” is also part of the Complainant’s corporate name/ business name/ trading style and house mark. It is obvious that the Respondent was aware of the Complainant’s prior registered and used trademark and domain name “DAMAS” and but still continued the registration of the disputed domain name which is identical or confusingly similar domain name in bad faith. iii. The Complainant states that the Respondent has not uploaded any website on the said domain name. When one attempts to visit the impugned website <www.ddamas.co.in>the error message is flagged “This site can’t be reached, ddamas.co.in took too long to respond.” This shows the Respondent’s malafide intention in registering the disputed domain name and continuing the registration of the impugned domain name. The Respondent has registered the disputed domain name and continued the registration of the impugned domain name without transferring the registration of the impugned domain name in favour of the Complainant with the intention to divert traffic or to block all attempts of the Complainant from registering the domain name in question for furthering its business interests, thereby creating a dent in the Complainant’s business. Annexed hereto and marked as “Annexure G” is a copy of the blank webpage of the Respondent’s website. iv. Further, the Respondent is neither commonly / popularly known in the public nor has applied for any registration of the mark “DAMAS” or any similar mark or has registered his business under the said name with the Ministry of Corporate Affairs, India. 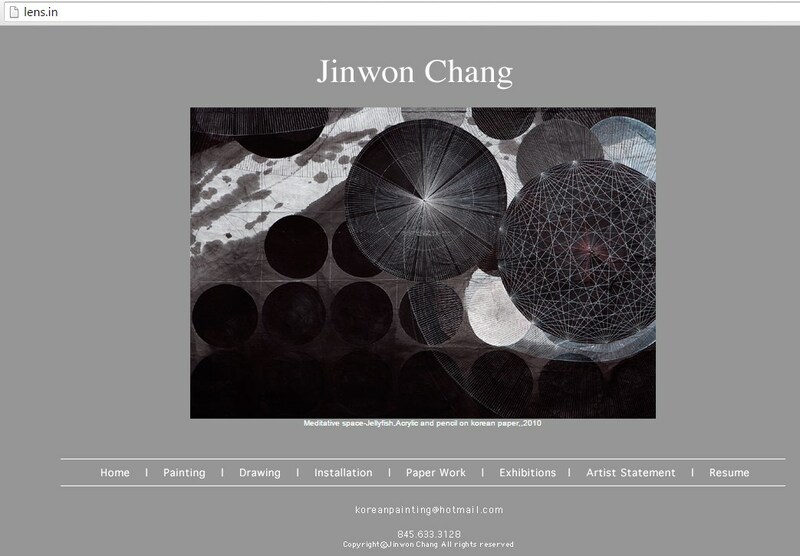 Further, the Respondent is not offering any goods/services under the impugned domain name. The Respondent is not operating any active website under the impugned domain name <www.ddamas.co.in>. v. Given the Complainant’s established goodwill and reputation and rights in the “DAMAS” trademarks and the assignment of the rights, title and interest in the trademark “DDAMAS”, no one else can have legitimate rights or interest in the trademark “DDAMAS”. i. The Respondent was aware of the Complainant’s registrations for the trademark “DAMAS” and the assignment of the trademarks “D DAMAS” /’LAMHE BY D’DAMAS” and “D’damas LAMHE SOME GIFTS ARE TIMELESS”. Even after the settlement and assignment been executed between the Complainant and D’damas Jewellery Pvt. Ltd., the Respondent has deliberately not transferred the registration of the impugned domain name <www.ddamas.co.in> with the intention to mislead the users or with intention of selling, renting, or otherwise transferring the impugned domain to the Complainant or to a competitor of the Complainant or to any third party, for a valuable consideration. ii. The Respondent has not uploaded any website on the disputed domain name which is evident from the webpage of the impugned domain name. iii. The Respondent has not used the disputed domain name in respect of any goods or services or has made any legitimate or non-commercial use. iv. The Complainant states that the Respondent is a habitual cyber squatter and has been the subject of Uniform Domain Name Resolution Policy (UDRAP) Dispute decisions-Apmetrix Inc. v. DOMAIN ADMIN (Claim Number: FA1505001618846) dated June 24, 2015, wherein awards were passed directing the aforesaid domains to be transferred to the Complainant therein. v. The Complainant fears that the domain name could be used to mislead and divert Internet users or to tarnish the trademarks and goodwill of the Complainant. The Respondent could transfer or sell the domain name to a competitor of the Complainant who would damage the goodwill or reputation of the Complainant by inserting material prejudicial to the Complainant. This could lead to tarnishment of the Complainant’s image if the domain name falls into the hands of the competitors of the Complainant. Further, the competitor may also be motivated to provide his goods and services under the trademark of the Complainant thereby increasing the competitor’s sales by misleading and confusing consumers as to the true seller of the goods and services. a. The statements made by the Registrant in the application form are complete and accurate. b. To the Registrant’s knowledge, the registration of the domain name will not infringe upon or violate the rights of any third party. d. The Registrant will not knowingly use the domain name in violation of applicable laws or regulations. vii. The Complainant further states that the Respondent was under an obligation to transfer the rights in the domain name after the Deed Of Assignment And Settlement Agreement was entered into as stated in Paragraph 6 (vi) above but the Respondent failed to fulfill its obligation. Such failure amounts to violation of the and breach of this provision of the Policy therefore infringes the legal rights of the Complainant. viii. The Complainant states that bad faith is apparent from the facts and circumstances of the case and therefore the Respondents is dis-entitled to maintain and/or renew the impugned domain name. ix. The Respondent’s intention is to commit fraud and mislead innocent and gullible users by unfair and dishonest means. x. The Respondent has no justification in adopting, registering and continuing the registration of the impugned domain name as its domain name, other than for wrongful and illegal gains. 7.1 The Arbitrator has reviewed the Complaint and all the Annexures filed by the Complainant. 7.2 The Arbitrator finds that the Arbitral Tribunal has been properly constituted. 7.3 The Arbitrator finds that the Complainant has been able to establish its prior rights and interests in the trademark DAMAS and DDAMAS. 7.5 The Arbitrator finds that the Complainant has established all the 3 elements essential to maintain its complaint, being that the disputed domain name is identical to Complainant’s trademark; the Respondent has no rights claims, or legitimate interests in respect of the disputed domain name especially after termination of license; and the continued registration of the disputed domain name is in bad faith. 7.6 The Respondents were given sufficient time to reply to the Complaint, however, they have chosen not to respond. 8.1 For all the foregoing reasons, the Complaint is allowed. 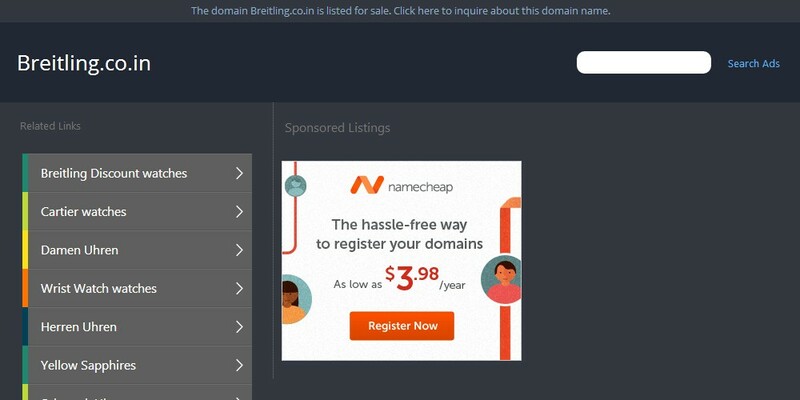 8.2 It is hereby ordered in accordance with paragraph 10 of the INDRP that the disputed domain name <ddamas.co.in> be transferred to the Complainant. 8.3 No order as to co6sts.